Master Blender for the famed El Titan de Bronze factory in Little Havana, Willy Herrera assumed the same title for Drew Estate a year-and-a-half ago. The first project to bear his name at his new job is the Herrera EstelÃ­: a cigar that has taken nearly a year to blend and produce. Comprised of Ecuadorian, Honduran, and Nicaraguan tobaccos, the Herrera EstelÃ­ is unlike anything to ever come from the Drew Estate factory. According to Herrera, it is "Cubanesque" in nature and described as "well-rounded and flavorful, but not too powerful". While this is not a limited edition cigar, it is produced in very small quantities. 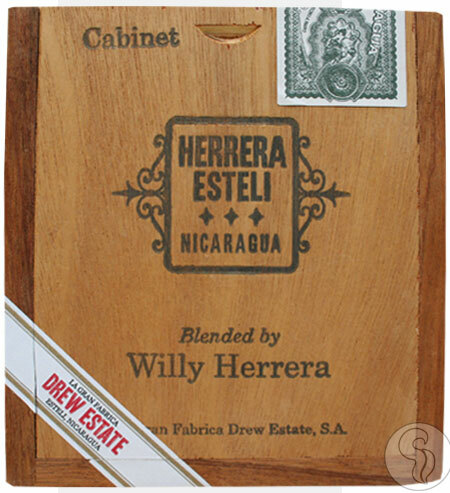 Only sold through a select number of accounts, the Herrera EstelÃ­ is a cigar not to be overlooked.